Last year, one of the vendors at NESEA's Building Energy conference (http://www.nesea.org/buildingenergy/) gave away a keychain fob, a little two LED hand crank light. 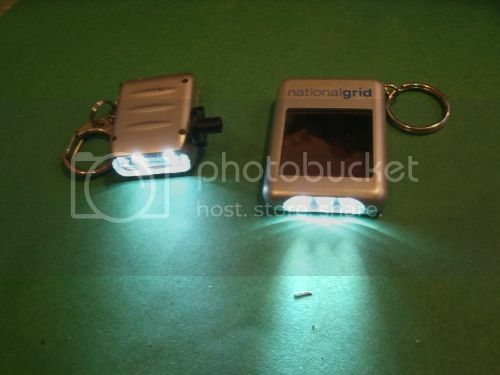 This year, another vendor gave away three LED solar keychain lights. 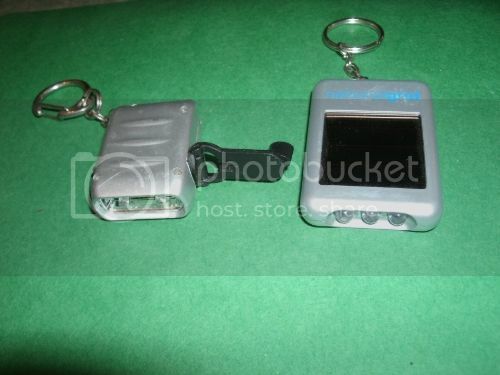 A few weeks later, I got another solar LED light as a giveaway from the MIT Energy Initiative. I wonder what happens when these cheap sweatshop trinkets meet the necessary invention of the bottom billion and a third, billion and a half people who do not yet have access to reliable electricity. In 1988 I visited China. into the city of Guangzhou. as a disposable cigarette lighter. That's one way we could transition to a more renewable economy.